Every year, we wait with bated breath for a groundhog to predict whether we’ll be moving forward into a new season. Wait…does that sound familiar? Every year, we wait with bated breath for a groundhog to predict whether we’ll be moving forward into a new season of growth and life…or staying, frozen and sluggish, in winter. Around the country, government entities are also looking forward to a season of unprecedented new life. Last year about this time, I acted as a sort of Punxsutawney Phil to prognosticate about 2018 trends in government IT. Now, we’re retracing our steps (much like Bill Murray) and answering the question: Is it a new day in government technology? Or is everything coming around again? So how did it go in 2018? Let’s grade based on improvement over 2017. As Deloitte wrote: “In customer service in government agencies, satisfaction is not the same as performance. In practice: Satisfaction = Perceived Performance – Expectations.” That’s what makes it so difficult for public entities, structured as they are in process-driven, methodical ways, to completely “wow” their constituents. In this age of free two-hour delivery and apps for every aspect of life, people expect to experience technology in a rapid, serviceable, user-friendly, and attractive-looking way. Unfortunately, government websites and online services have not historically met that bar. Even when people get what they need without jumping through hoops, their high user-experience expectations cause government to fall short. In 2018, though, we saw major steps toward closing the gap, thanks to (as I predicted and GovTech agrees) human-centered design. Hundreds of RFPs for new websites and apps were fulfilled last year, in independent efforts across the nation to bring user experience up to par and better enable self-service. Human-centered design has made waves across verticals as well. From California and Arizona debuting the first wave of location-tracking, stickerless electronic license plates, to Orlando’s commitment to digitizing 225 services over the next few years, to the Michigan Department of Health and Human Services cutting their benefits application to just over one third of its original length, it’s clear that government at all levels is focusing on how to improve their citizens’ lives through tech while simultaneously modernizing and optimizing their own processes. That’s a win for everyone. Last year, I made several large-scale, long-term predictions about what public entities could one day use automated vehicles and drones for. It’s only been a year since then, but we’ve seen some impressive advancements in government adoption of both. As of May of last year, nearly 1000 public safety agencies had acquired at least one surveillance drone, including 37 statewide agencies and 107 city/county emergency management agencies. On the AV side, 2018 saw several successful pilot programs for driverless public transit in Paris, Singapore, Arlington (TX), and the Bay Area. Additionally, many transit agencies across the country are developing more reliable, automated ticketing and identification systems that aim to cut down user error, overhead cost, and travel delays. Some of these innovations may not yet have the same citizen impact as autonomous features in consumer cars (such as lane sensing and automatic braking) or Maroon 5’s use of Intel drones during their Super Bowl Halftime Show, but they show a good faith effort toward serving their constituents via more affordable, accessible, and efficient public transit; improved safety, documentation, and speed of police activity; and more environmentally sustainable use of materials and resources. Don’t get me wrong, I’m still looking forward to driverless public servant carpools, city “scanners” that can do small repair jobs on potholes or graffiti, and driverless municipal garbage collection. For the time being, much of that kind of innovation is being driven by citizens and private corporations such as Urban Rivers. This year, I’m looking for a focus on technology designed to alleviate that municipal minutiae. There’s a lot of conflicting data on the progress of taking government to the cloud. Last October, Bloomberg Government projected record-setting cloud purchasing by the end of fiscal 2018, growing by 32% and expecting the bulk of that spending to be invested in cloud infrastructure as a way of modernizing. P&S Market Research posits that public-sector cloud spending will reach nearly $50 billion in the next four years. The stats seem to say that local and state CIOs are keen on cloud computing. Yet there remains skepticism and concern about cloud security. It’s not something to take lightly, of course. Developing a customer-centric roadmap to prioritize cloud migration and service optimization must be balanced with continued vigilance on the cybersecurity front. The recent cyberattack on the city of Akron demonstrates how even an unsuccessful phishing attempt can leave a city vulnerable and leave its citizens without services. Even with those risks, it’s clear that smart cities and smart government are producing tidal waves of data at greater volumes than current systems can manage. In fact, the federal government just released an RFI for $8 billion in cloud procurement. Wow! Last year, I said that I expected the growth in cloud adoption “to continue — and, in fact, accelerate — because it has improved security and transformed the process for an organization to add or amend their storage and workflow needs quickly.” It appears that the public sector is indeed trending toward higher confidence (and moreover, higher necessity), and so I’m repeating that forecast for 2019. All in all, as I look back over 2018, I don’t feel that we are doomed to endlessly repeat the same processes, the same routines. The fact that these three topics continue to be at the forefront of state and local entities’ improvement plans for 2019 shows that the emphasis on the human side of tech is working! It might sound like an echo, but after a year of increasingly creative ways government is looking to use technology to connect the public sector with the general public, I feel even more confident in reaffirming the following: Reinventing existing processes to bridge that gap — and prioritizing technology that improves communication, security, service and efficiency — will lead the nation toward a fruitful new season, and a more innovative future, together. We’ll watch for that shadow in 2019 and see just how quickly our local and state agencies spring forward. Davood Ghods is the VP of Direct Technology’s Government Solutions Group, leveraging his 30 years of experience serving the State of California to fuel digital transformations in public organizations. Upgrade your customer service, automation, and cloud computing with Direct Technology today. 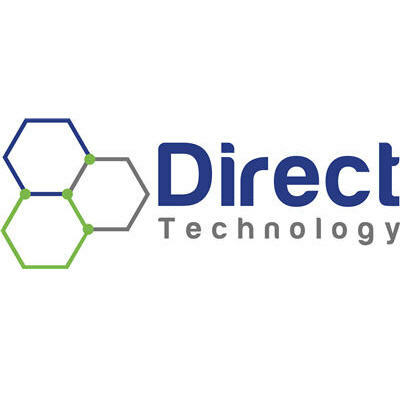 Direct Technology is command central for a host of software solutions and services operating under specific business units including ESG, Government Solutions, and IT Services.